pur essendo molto distanti dalla nostra cultura e dal nostro modo di vedere, gli artisti giapponesi mi hanno sempre molto affascinata, non solo in fotografia, anche in pittura ed in architettura. Eccomi ora di ritorno dalla mia vacanza in Giappone, dove ho avuto modo di ammirare – tra le altre cose – una mostra di Hiroshi Sugimoto, il fotografo che vi voglio presentare oggi. Hiroshi Sugimoto è nato in Giappone nel 1948. Fotografo dal 1970, il suo lavoro tratta della storia e dell’esistemnza temporale, investigando su temi quali il tempo, l’empirismo e la metafisica. Le sue serie più conosciute includono: Seascapes, Theaters, Dioramas, Portraits (di statue di cera di Madame Tussaud), Architecture, Colors of Shadow, Conceptual Forms and Lightning Fields. Sugimoto ha ricevuto numerosi grant e borse di studio e il suo lavoro è esposto nelle collezioni della Tate Gallery, del Museum of Contemporary Art, Chicago, e del Metropolitan Museum di New York, tra molti altri. Portraits, inizialmente creato per il Deutsche Guggenheim Berlin, è stato trasferito al Guggenheim New York nel Marzo 2001. Nel 2001, Sugimoto si è inoltre aggiudicato l’Hasselblad Foundation International Award per la fotografia. Nel 2006, l’Hirshhorn Museum di Washington, D.C. e il Mori Art Museum di Tokyo hanno allestito una retrospettiva di metà carriera, in occasione della quale è stata prodotta una monografia intitolata Hiroshi Sugimoto. Sempre nel 2006, ha ricevuto il premio Photo España e nel 2009 il Praemium Imperiale, Painting Award dalla Japan Arts Association. Durante la Biennale di Venezia del 2014, Sugimoto ha svelato la sua “Glass Tea House Mondiran” presso Le Stanze del Vetro sull’isola di San Giorgio Maggiore. Hiroshi Sugimoto was born in Japan in 1948. A photographer since the 1970s, his work deals with history and temporal existence by investigating themes of time, empiricism, and metaphysics. His primary series include: Seascapes, Theaters, Dioramas, Portraits (of Madame Tussaud’s wax figures), Architecture, Colors of Shadow, Conceptual Forms and Lightning Fields. Sugimoto has received a number of grants and fellowships, and his work is held in the collections of the Tate Gallery, the Museum of Contemporary Art, Chicago, and the Metropolitan Museum of New York, among many others. Portraits, initially created for the Deutsche Guggenheim Berlin, traveled to the Guggenheim New York in March 2001. Sugimoto received the Hasselblad Foundation International Award in Photography in 2001. In 2006, a mid career retrospective was organized by the Hirshhorn Museum in Washington, D.C. and the Mori Art Museum in Tokyo. A monograph entitled Hiroshi Sugimoto was produced in conjunction with the exhibition. He received the Photo España prize, also in 2006, and in 2009 was the recipient of the Praemium Imperiale, Painting Award from the Japan Arts Association. During the 2014 Venice Biennale, Sugimoto unveiled his “Glass Tea House Mondrian” at Le Stanze del Vetro on the island of San Giorgio Maggiore. 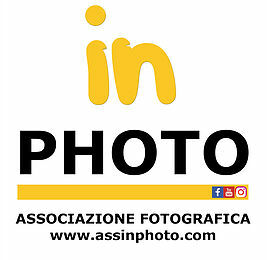 ← Selezione per incarico di formatore fotografia e altri lavori per fotografi.